When in house collection methods are not working, there are choices to be made. Debt can simply be written off or the debt can be sent to a commercial collection agency or a commercial debt collection law firm. 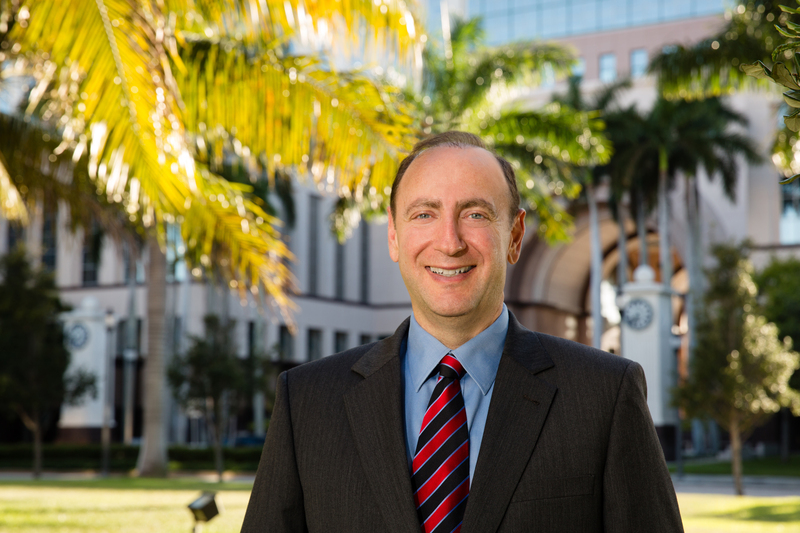 In the e-book collection attorney Stephen Gebeloff will discuss the difference between collection agencies and collection attorneys. 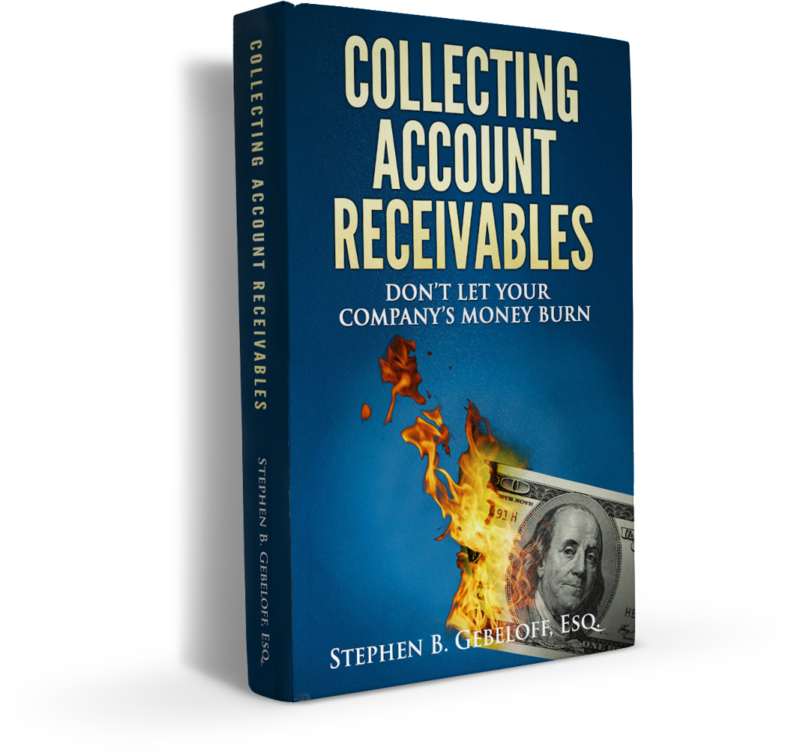 Sometimes sending your accounts to a collection agency may make sense but, after reading the book on debt collection procedures and strategies, you may come to recognize that utilizing a full service commercial collection law firm may prove more cost effective and lead to a higher percentage of your delinquent debt accounts being recovered. The Gebeloff Law Group is a full service debt collection firm. Our collection lawyers would be happy to discuss your company’s internal debt collection procedures. 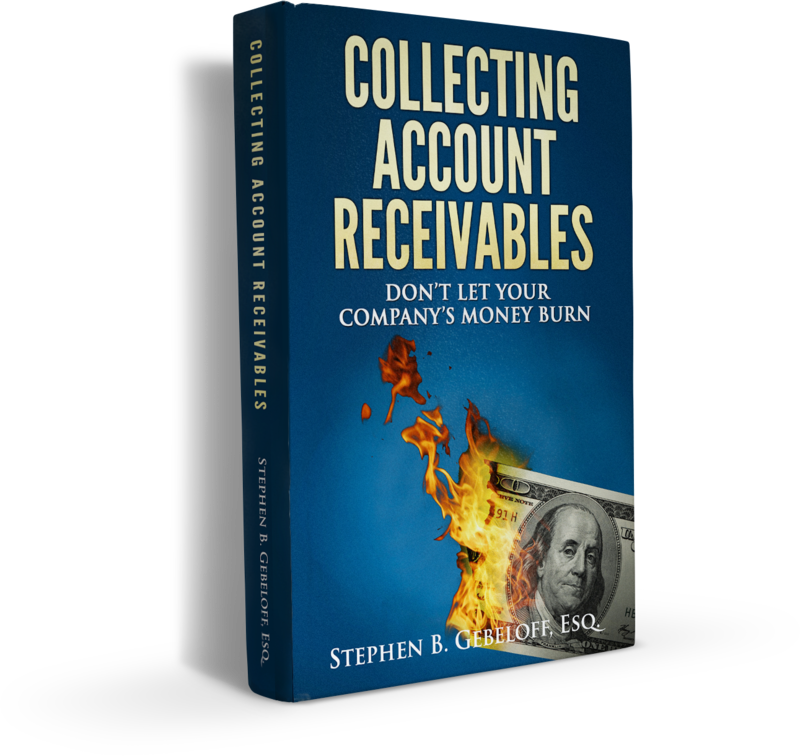 Being proactive is very important in maximizing your company’s recovery of past due accounts. Not every account is collectable but, by discussing your company’s debt collection needs, our collection lawyers can effectively work with you to explore different collection strategies that may lead to the recovery of your company’s money. We encourage you to contact our commercial collection law firm to discuss your specific debt collection needs with one of experienced debt collection lawyers. Florida collection agencies have been collecting commercial debt in Florida for many years. When your company choices to engage a Florida collection agency it has become apparent that your customer who is located in Florida has stopped paying invoices in a timely fashion. Florida collection agencies typically hire debt collectors to make collection calls from their Florida collection agency. Florida collection agencies then will send a series of collection letters to the debtor located in Florida. Our Florida commercial debt collection law firm has been receiving debt collection cases from Florida commercial collection agencies when the Florida collection agency has been unsuccessful in collecting on the past due date. In that instance the Florida commercial collection agencies are obliged to increase the contingent collection rate that they charge so that they may then forward the debt collection matter to our Florida commercial debt collection law firm for further handling. Florida collection agencies are not licensed to practice law. Our Florida commercial collection law firm just like a Florida collection agency will send our collection letters and place collection calls. The huge difference is the customer is now receiving a collection letter from a Florida collection attorney. Collection phone calls are made by a Florida debt collection law firm. There is a greater sense of urgency for your customer to make payment to your company when demand for payment is coming from a Commercial Collection firm rather than a Florida collection agency. Lastly, there is no middleman. Our firm will charge a flat contingent fee on collection. Again Florida collection agencies raise your company’s contingent collection rate upon collection when they forward the claim to a debt collection lawyer. Please contact our Florida debt collection law firm and speak to one of our debt collection professionals. We would be happy to discuss a debt collection strategy that is best suited to help your company recover money that is justly owed.